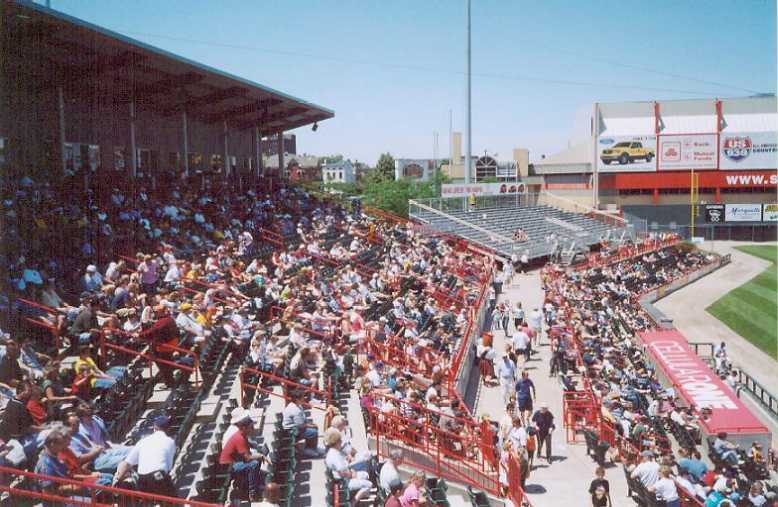 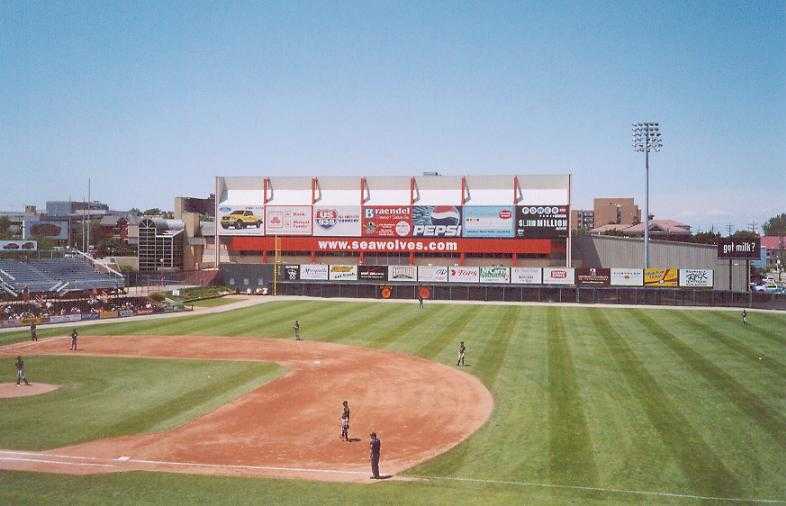 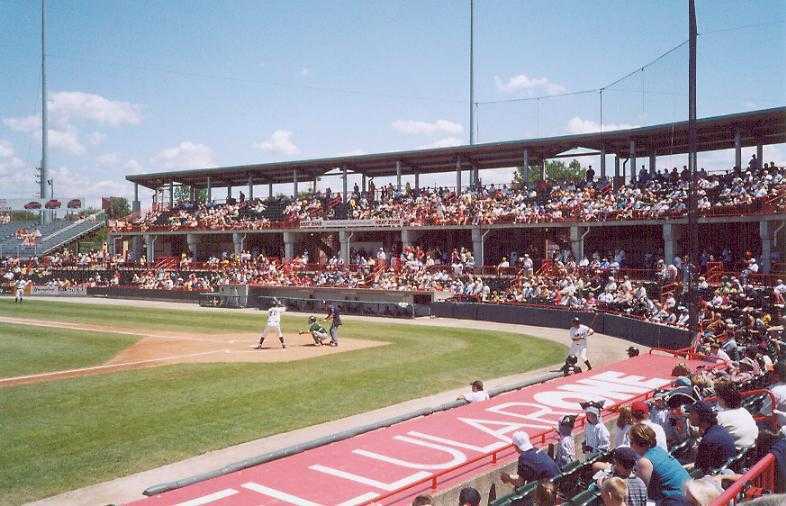 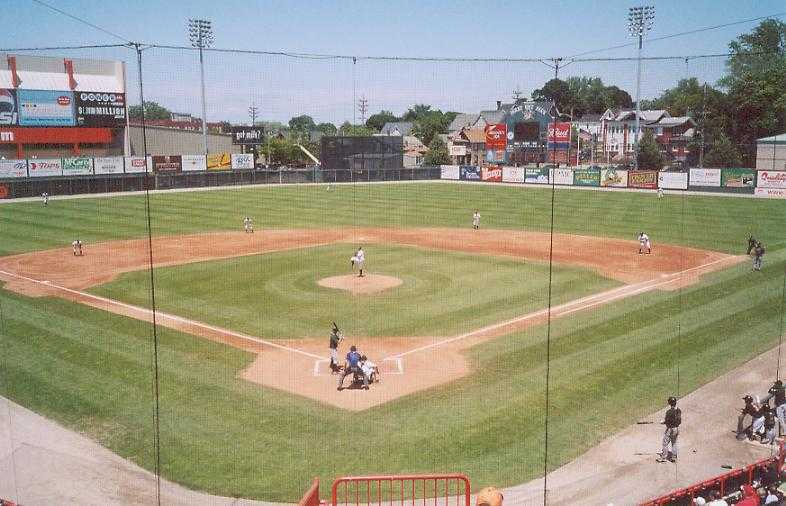 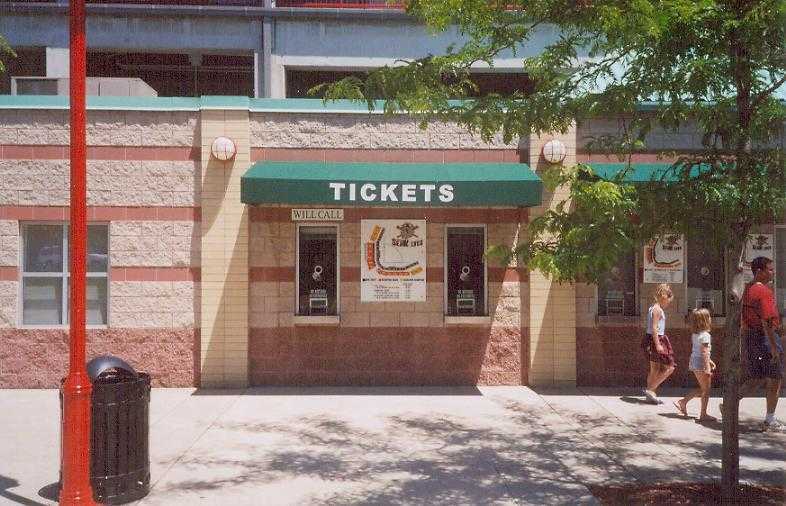 Jerry Uht Park, Erie, Pennsylvania. 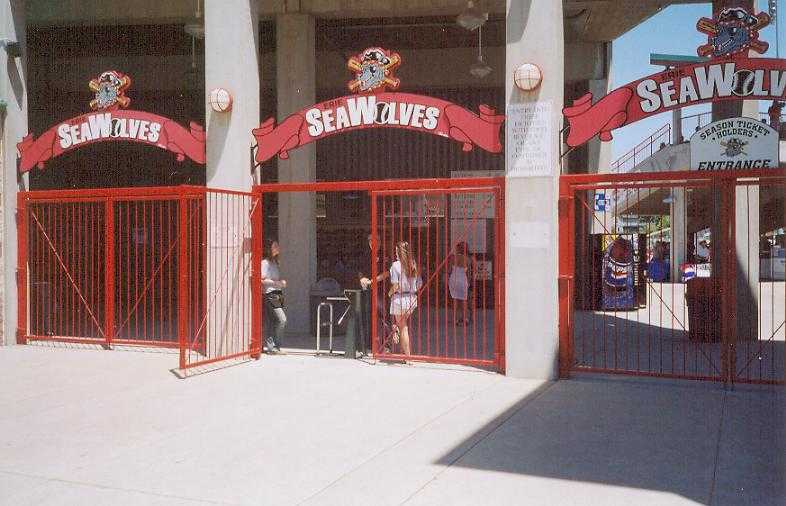 Home of the Erie Seawolves of the Double-A Eastern League. 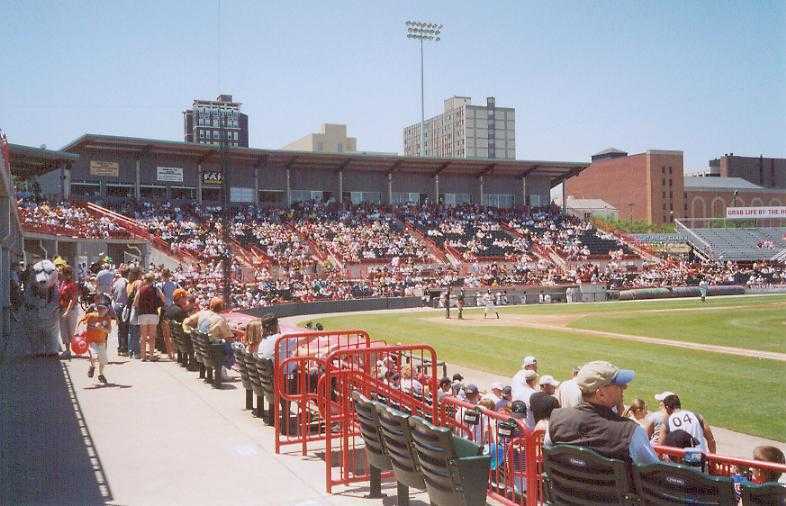 Third base boxes and bleachers. 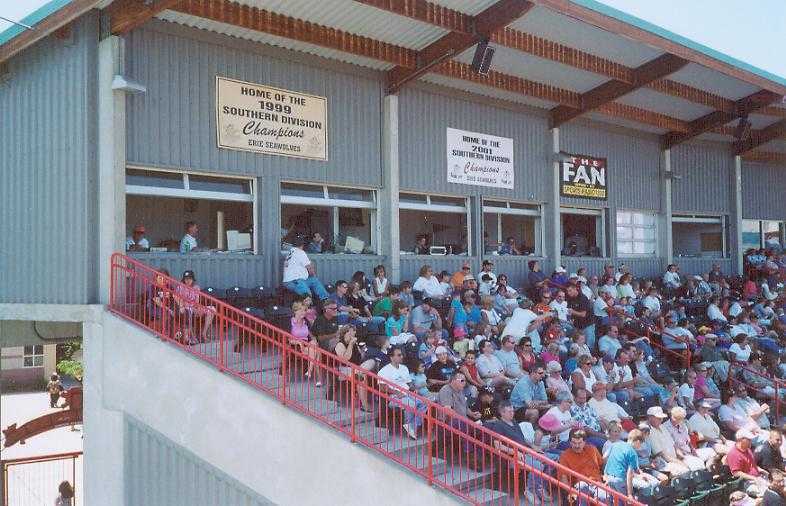 The pressbox is located at the top of the third base grandstand. 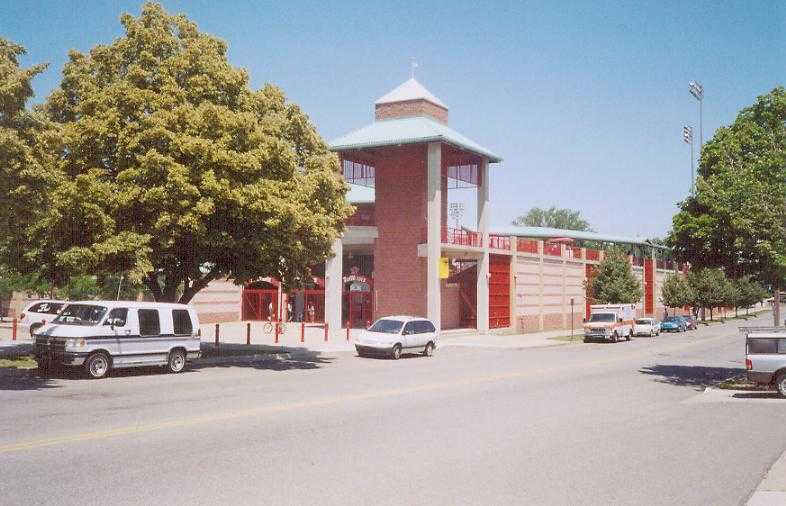 Tullio Arena backs to left field. 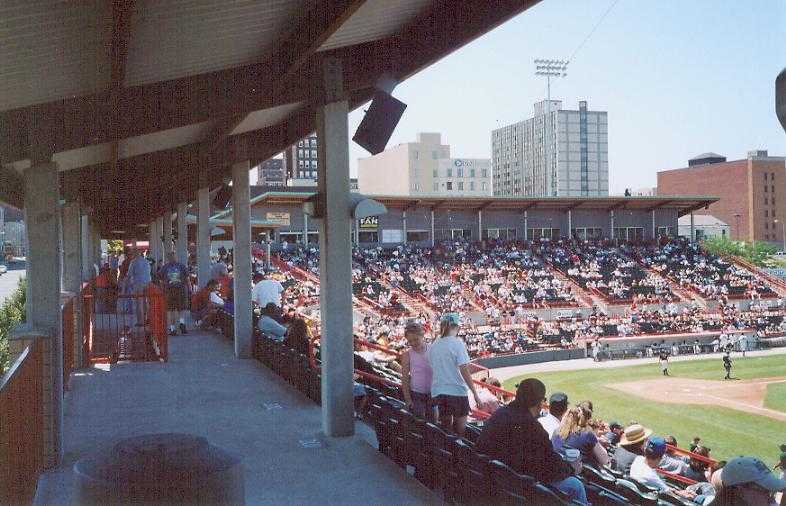 Watching the game from the deck behind the arena. 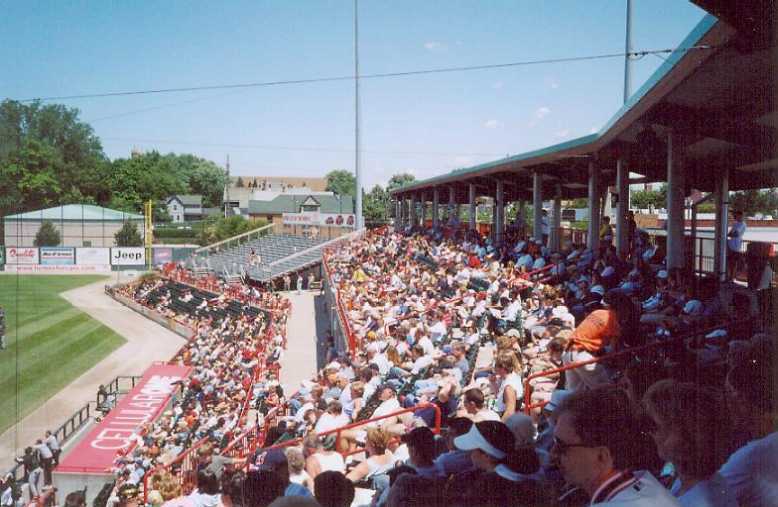 Panoramic view of the stadium from the left field deck. 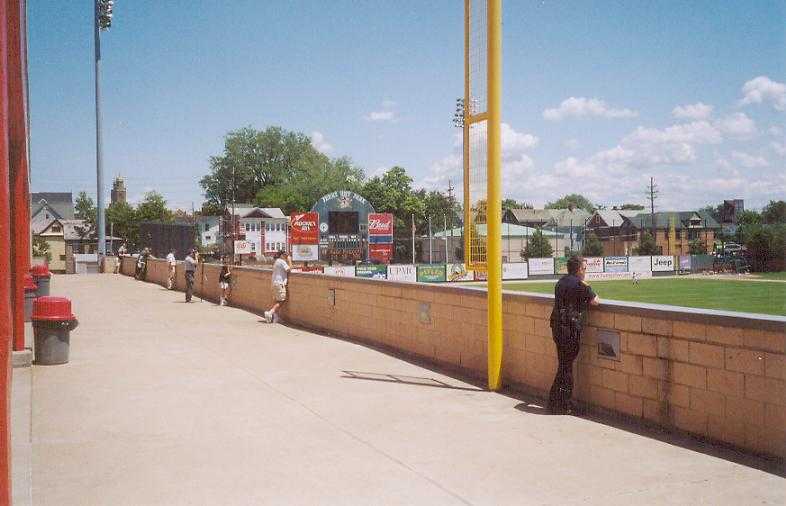 The right field screen protects cars passing on Holland Street. 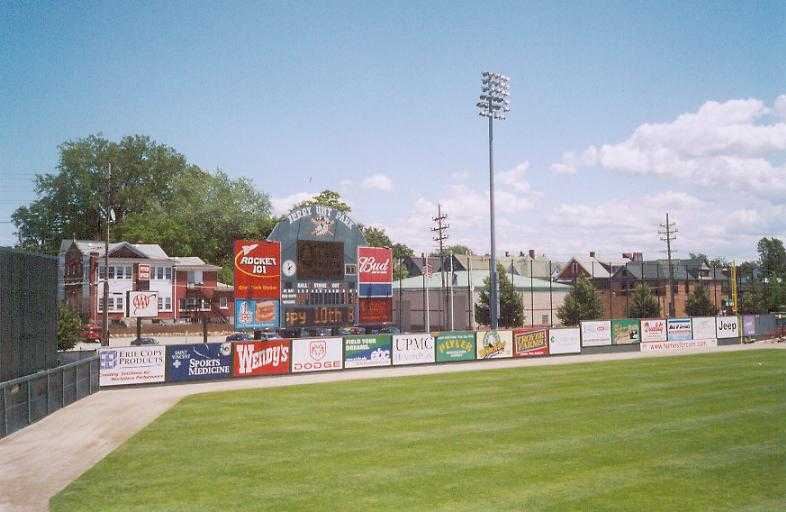 First base boxes and bleachers. 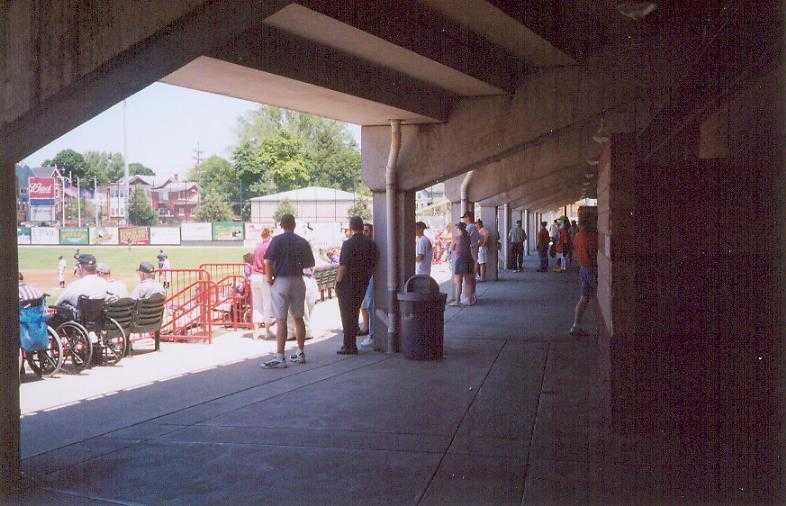 Plenty of standing room under the first base grandstand. 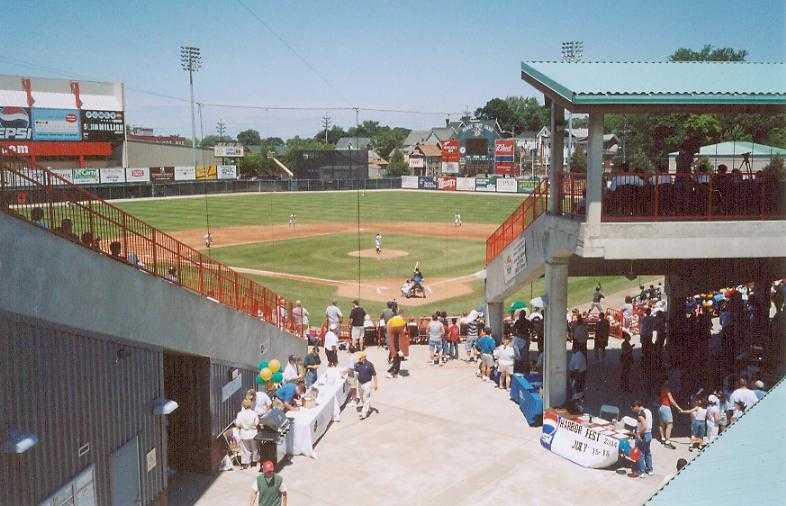 Walkway at the top on the first base side. 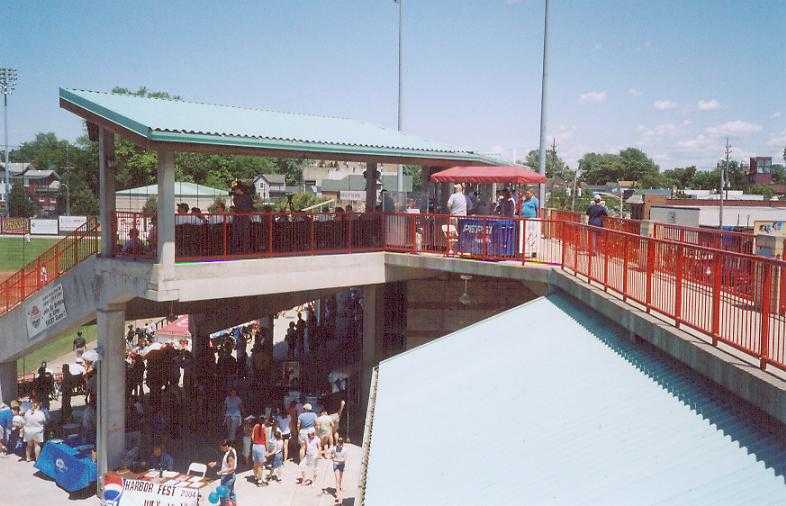 Upper walkway between the grandstands. 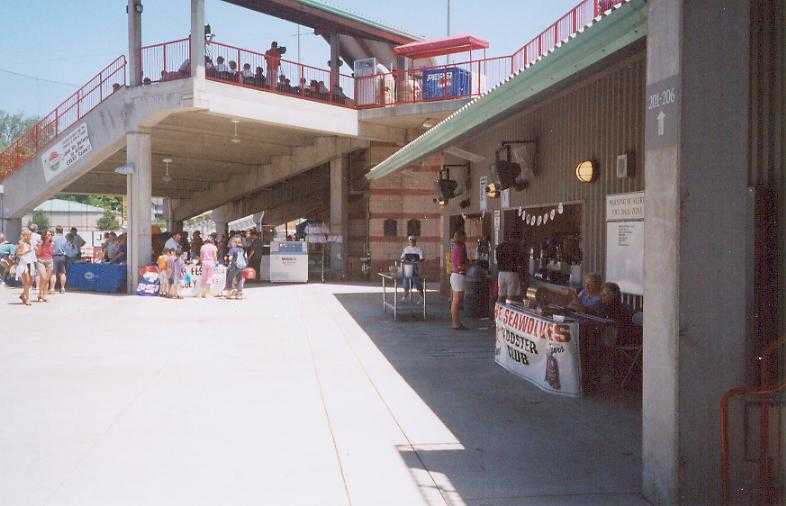 Center concourse from the upper walkway. 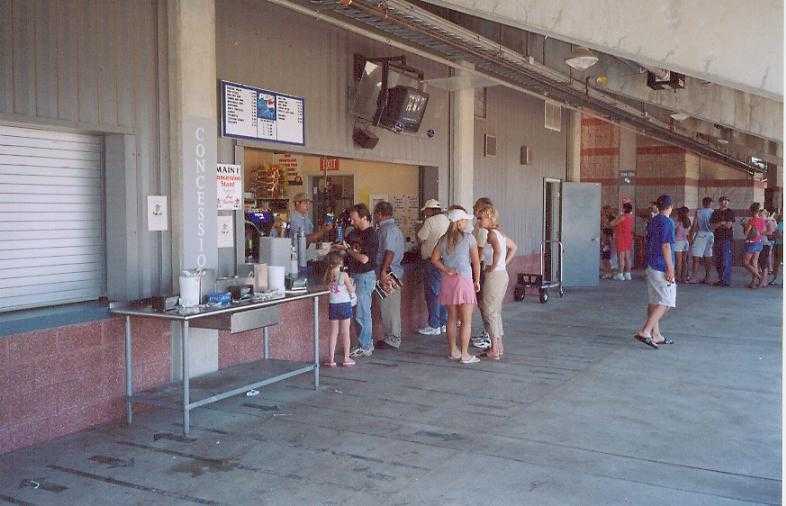 Concessions are located under each grandstand. 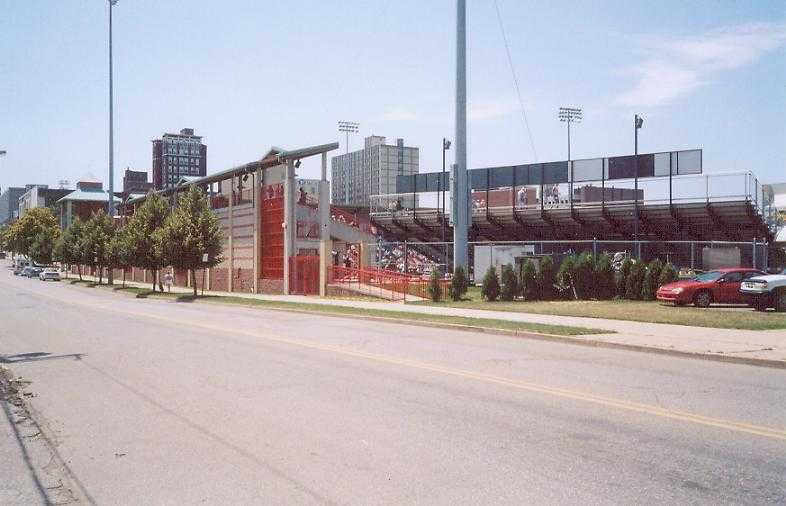 Another view of the stadium exterior.